"DO NOT TRY THIS ALONE"
you should consider using an outside expert. Eli Edelmann never intended on making a living through mercy killing. After reluctantly taking over his family’s party supply store following his father’s death, he is approached by a terminally ill family friend who’s had enough. The friend, a retired policeman, has an intricate plan involving something Eli has ready access to – helium. Eli is initially shocked and repulsed by the proposal, but soon begins to soften his stance and, after much deliberation, eventually agrees to lend a hand. It was supposed to be a one-time thing. How could Eli have known euthanasia was his true calling? And how long can he keep his daring underground "exit" operation going before the police or his volatile new girlfriend get wise? 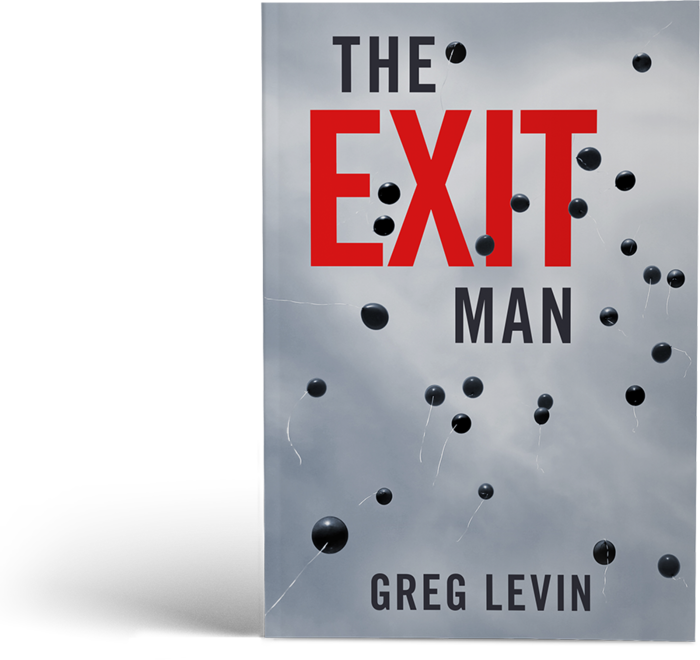 THE EXIT MAN has been optioned by Showtime for development into a TV series, and won a 2015 Independent Publisher Book Award (an "IPPY") for Best Adult Fiction Ebook. “The writing is incredibly witty. And the characters… where have you been all my life, Eli? “This is one of those 'If I could give higher than 5 stars, I would’ books.... Mr. Levin, I plan to read more of you." “... A voice that needs to be heard." “I highly recommend reading The Exit Man, but strongly advise: Do Not Try This At Home!" My client smiles calmly at me as I slip the clear plastic bag over his head. After fastening the bag around his neck using the attached Velcro straps, I take the tube that extends from the controlled-release nozzle of the helium tank that sits beside his armchair and place the end of the tube into the small hole in the bag. I use a couple pieces of duct tape to make sure that where the tube enters the bag is airtight. Two thumbs up and another smile. Another thumbs up and a nod. I give the valve atop the helium tank nozzle a quarter turn counterclockwise to start the release of gas. “Ave atque vale,” I say. Latin for “hail and farewell.” It’s my standard closing. My client clasps his hands in front of him, smiles again, and mouths “Thank you” through the plastic bag before closing his eyes. I pick up the copy of Arthur Rimbaud: The Complete Works that’s lying on the end table near my client. I sit down on the folded chair next to him and begin reading aloud from page 219 as previously instructed. Rimbaud has never been my cup of tea, but this reading isn’t about me. Besides, I won’t be reading for very long. My client will be sound asleep in less than a minute. Dead within five. “Distinctive, appealing, and unflinchingly self-aware. 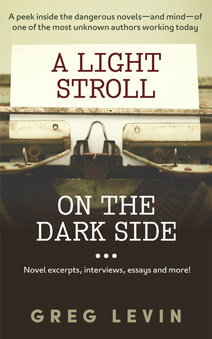 receive A FREE EBOOK full of greg's darkly humorous writings! Plus a 3-chapter sample of his new novel, in wolves' clothing, and his bi-monthly(ish) blog posts.